STOKE-ON-TRENT-ART SCHOOL, 1919: "AN ATMOSPHERE OF DEPRESSION, FAILURE AND DISAPPOINTMENT"
Differences between teachers and school inspectors are not new. The Stoke-on-Trent art schools got a pasting from government inspectors at the end of the First World War, but the principal, Stanley Thorogood, was proud of their achievements in difficult circumstances and was fizzing with ideas for the future. Remarkably, the Potteries art schools did not teach much pottery until the second decade of the 20th century. Craft education was the responsibility of employers, and the art schools gave only a basic training. From about 1900, the Arts and Crafts Movement brought about reform, introducing a more practical education requiring familiarity with materials. Birmingham was famous for it, the London County Council’s Technical Education Committee, under the leadership of Sidney Webb, set up the Central School of Arts and Crafts, and Camberwell Borough Council set up the Camberwell School of Arts and Crafts. The RCA, largely under the influence of Walter Crane, followed suit in 1900. Crane lasted only a year as principal: the RCA was controlled by central government and he couldn’t bear the red tape. Arts and Crafts designers were not unanimous. C.R.Ashbee thought art schools were pretty much a waste of time and that the crafts should be learned in guild-type workshops. Lewis Day, one of the more commercially successful designers, thought it was not necessary to be familiar with every medium and that it was preferable to teach pure design principles. Whatever the most progressive way of teaching design, Hanley Art School lagged behind. Its 1908 prospectus lists its art courses as: freehand and brush drawing; plant drawing; model, architectural and mechanical drawing; geometrical and perspective drawing; painting in oil, tempera and watercolours; pottery painting, designing, modelling; moulding and casting and wood carving; and art metalwork. It also offered studies in decorative design as applied to manufactures, and lectures on the theory, history and practice of art. In 1908, there were courses in pottery moulding, modelling and casting and pottery painting, but throwing and turning were not taught. Despite Hanley and Burslem being the main art school in the Potteries, their teaching of ceramics was deplorable. 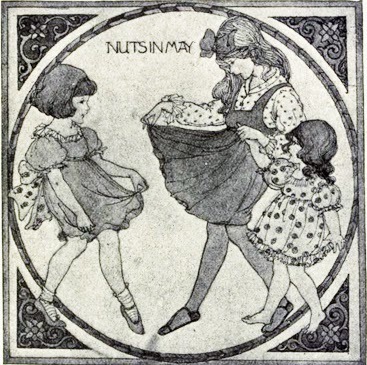 Although students at Burslem were capable of producing nice but hackneyed tile designs in the style of Kate Greenaway (above), an inspection of 1919 found the Schools were “without any practical teaching equipment on a scale adequate for either specialised training or research in throwing, turning, mould making, moulding, stamping and the firing of industrial art pottery. At Hanley, no making machine of any kind exists in the School, while at Burslem and London Road the hand-driven throwing and turning machines are obsolete for teaching and experimental purposes”. Graded courses of study had been drawn up for pottery decorators and designers, tile draughtsmen and designers, pottery modellers and designers, pottery engravers, pottery litho artists and designers and pottery enamellers and gilders. In summary the inspectors’ judgment, allowing for the adverse conditions created by the war, was that the effort to provide practical technological instruction was “feeble and inadequate”. Board of Education, Report of Inspection of Stoke on Trent Schools of Art, 1919. “Depression, failure, and disappointment” reminds me of my daily sessions at the old Hanley bus station a couple of years ago trying to explore the tourist sites. I went twice to the lovely Gladstone Pottery Museum, partly because I mastered the bus numbers, but also to explore the works and talk to the craftspeople demonstrating there – so some successful outcomes in the end. But if Hanley is mentioned I immediately think of the bus station! Reblogged this on Spotlight on The Potteries. Thanks for re-blogging. I hope your readers find it interesting. You are welcome to reblog anything you like.